Watch is only packaged in plastic. Students know how to find for cheap but satisfying food for snack or lunch. Decades ago and though still true these days, the following are very popular as Happy Finds of students: "Second gate kang UNC", another second gate kang Ateneo "sa Bayawas", sarong "pancitan" near the Metropolitan cathedral and a whole lot more. Probably if I did pursue my bachelor's degree here in Naga, chances are I would be able to enumerate more. Feel free to share your own happy finds dear students! 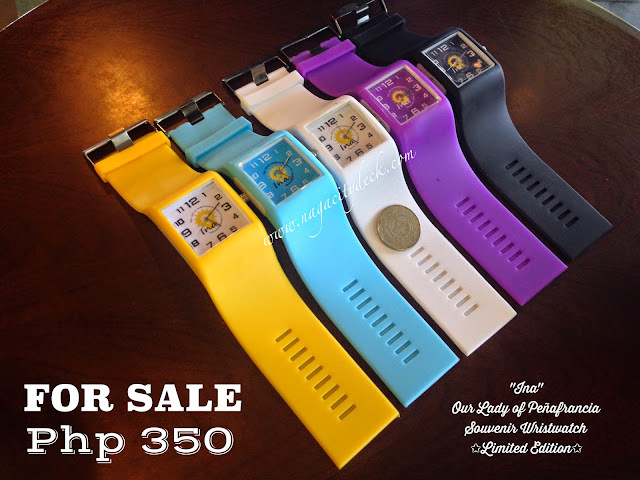 Our post for today is a Happy Find for the students of today's generation. 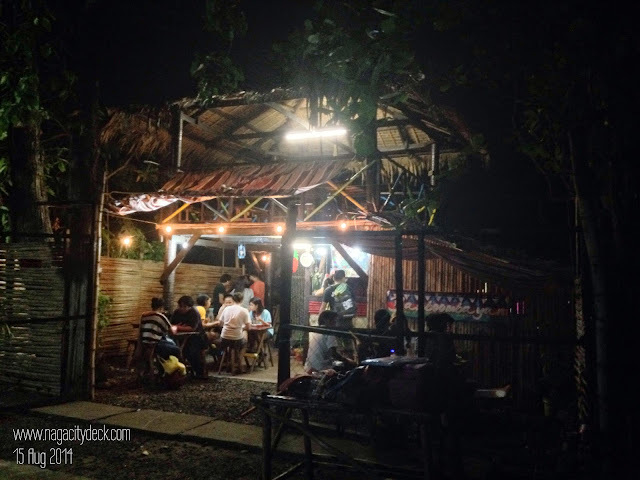 Last Friday, I was able to finally visit Bamboombayan Diner near Ateneo de Naga University. It was high time to find out why BB is the talk of the class. 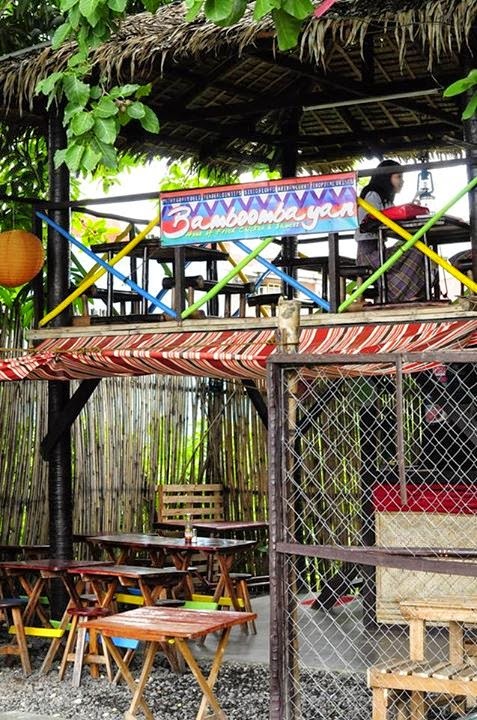 The name Bamboombayan or BB for short is from Bagumbayan, the barangay where it is located and technically speaking the place is made out of Bamboo. BB is young at heart and knows how to capture the heart of the youth. No wonder why they opened during heart's day during the year 2012. Let met get ahead of you on what to expect from this little resto near the Ateneo. 1. The place is commonly dined by students not only from Ateneo but also from other schools and universities. Yuppies are also visible here. 2. BB is not your average carinderia because they have a VERY unique specialty. 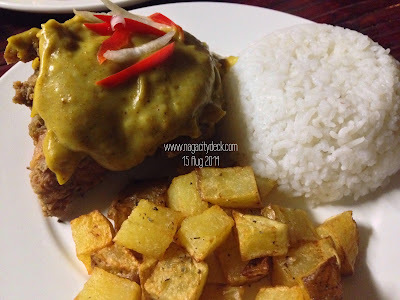 One that you cannot actually see yet from other restaurants here in Naga. Emphasis on the SAUCES my dear friends. 3. The place is not a posh food place but just enough for students and those who are looking for a yard-like ambiance of a home. 4. Regardless of the physical store, you will be surprised with what they are using as kitchen wares. Ceramics, glass and stainless steel spoon and fork which is just right especially for the chicken. Forget about battling with the chicken using the plastic spoon and fork. 5. BB was born out of compassion for others and not entirely for profit. The Clubhouse of the Ateneo played a major role for the owners of BB. Read on towards the end to know why. SECOND LEVEL. My favorite spot would be the second level of BB. 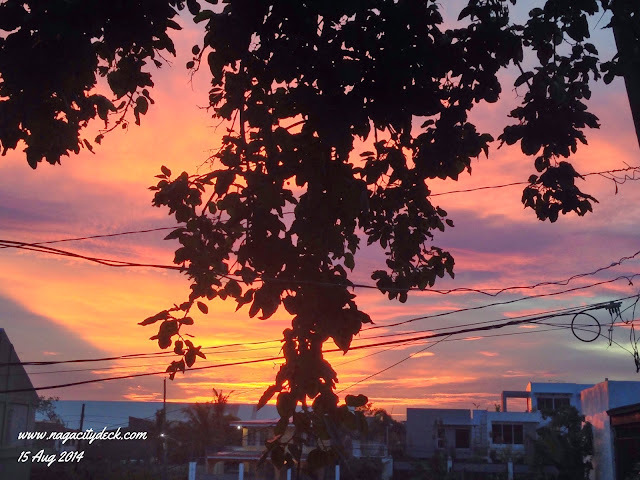 We came at the perfect time last Friday to enjoy an amazing sunset which is just an add on during your stay at BB. Fixtures justifies the name of the place and makes you feel like having lunch in your own garden or yard. 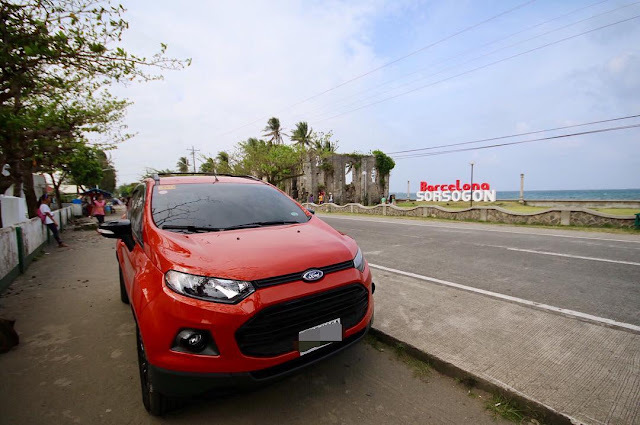 BB is located along Mother Francisca street at Bagumbayan. Since BB is not your ordinary carinderia, it is just a whole lot of different level in that spectrum. "Home of Fried Chicken and Sauces". 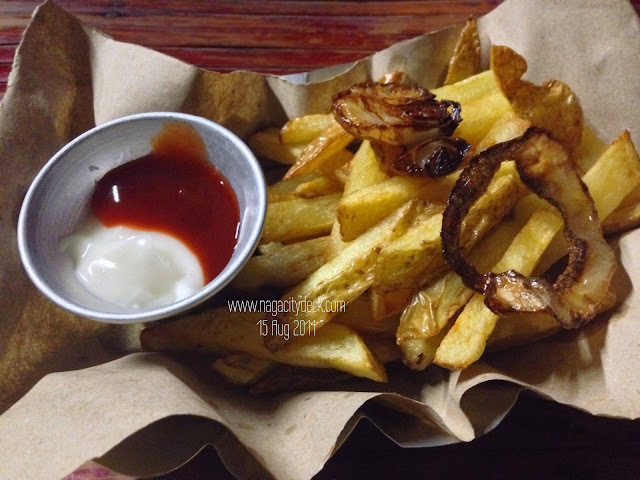 While chicken is the main product of BB, they offer a variety of sauces that can be used either as a topping or a dip for your fries. BB's chicken is one of a kind. What are the 6 spices then? Here's a tip, pepper is one the rest is for us to find out. According to the owners the spices are from Saudi. So that you can have an idea on how special BB's chickens are, let's just say it's head to head with the Cajun Chicken of Bigg's Diner, NO KIDDING! Sauces are in Mushy Gravy, Creamy BB, Baked Garlic, and Arabian Curry. My personal favorite sauce would be the Baked Garlic. BB is open from Monday to Saturday from 10 am to 10 pm. For the meantime, Bamboombayan delivers for bulk orders only. 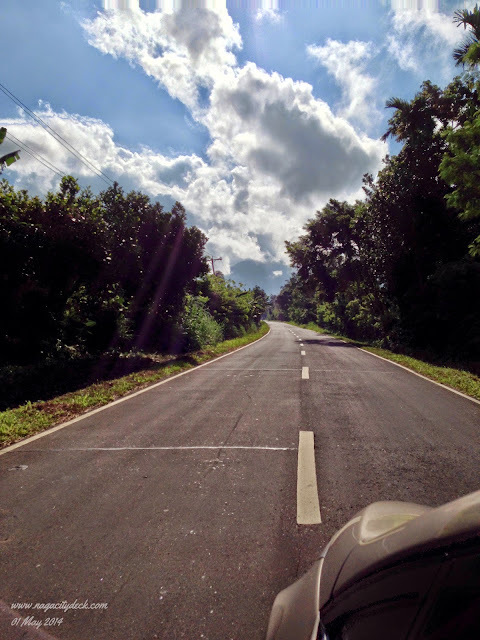 Minimum of 10 packs if a bit far from the central business district of Naga and a minimum of 4 packs if within centro. 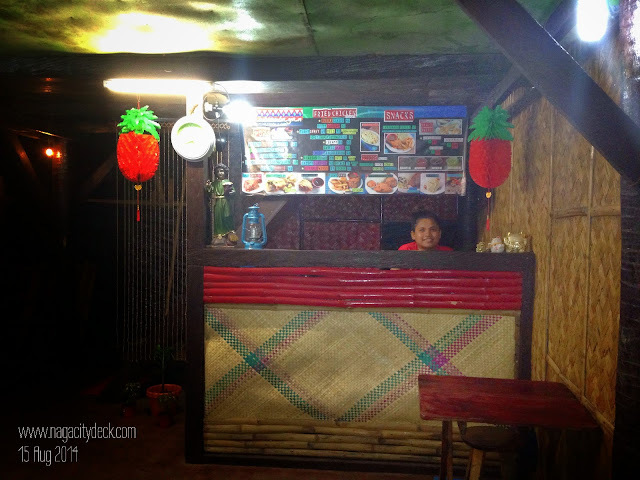 Apart from chicken, they also offer Pork Rice Meals which starts from P45.00 to P55.00. Among the choices are Crispy Sisig in classic, in mayo or in mayo + egg, Tenderloin Tips w/ Corn, and Bistek Bikol . This is something to look forward to. We'll keep you posted once price is available. 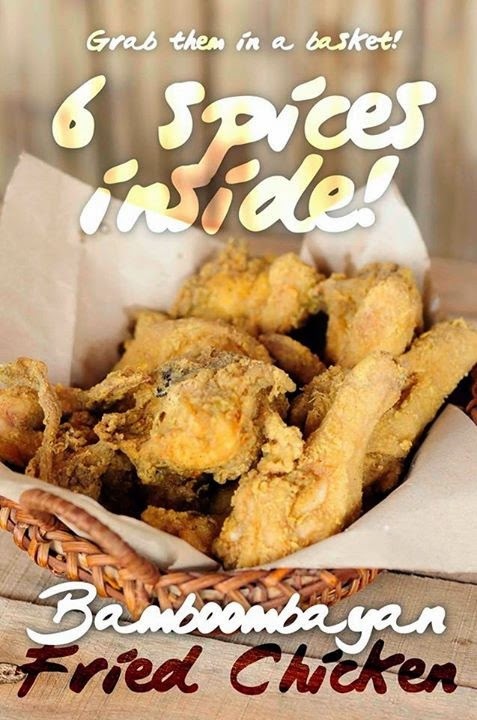 that will justify BB's claim to have the most affordable fried chicken in Naga City. Chickens come in flock, este Deli or Plain. Deli is served with potatoes on the side. While the basic or plain is served with the chicken and rice only. The Crispy Classic is only P42.00. Not bad right? *Pardon the photos with low light. My takes did not give enough justice for the food. 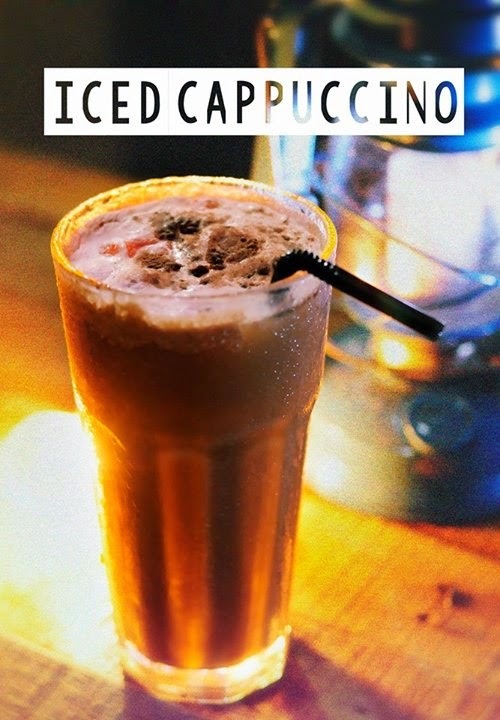 Mushy Gravy Deli, this is one of the best sellers of BB for only Php 73.00. 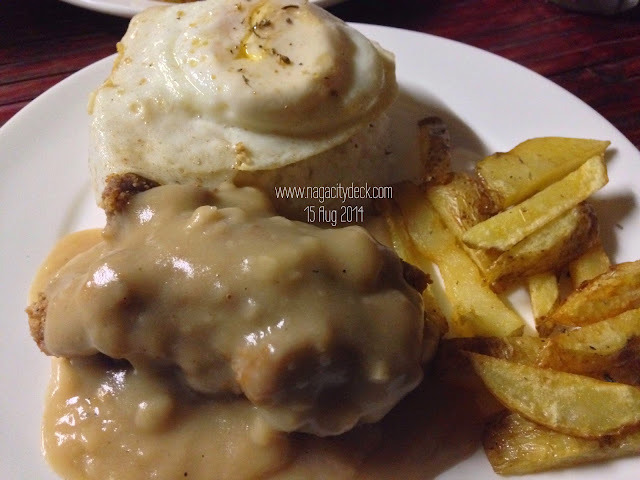 Php 49.00 only for the Mushy Gravy (Chicken and rice). There's more to the bamboo than meets the eye. 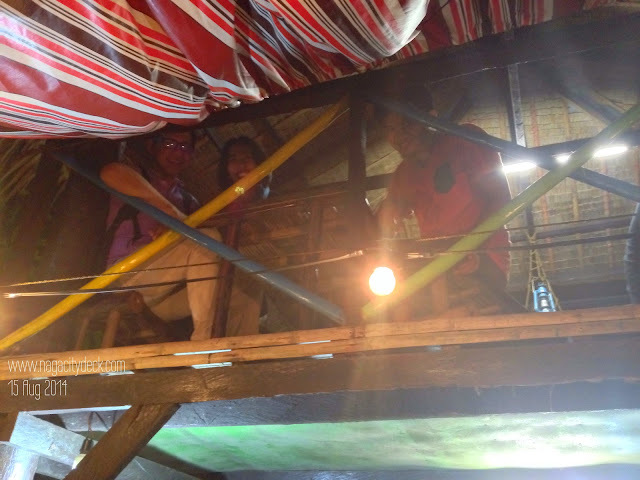 Behind Bamboombayan are two, young, business partners Marion and Kaye. 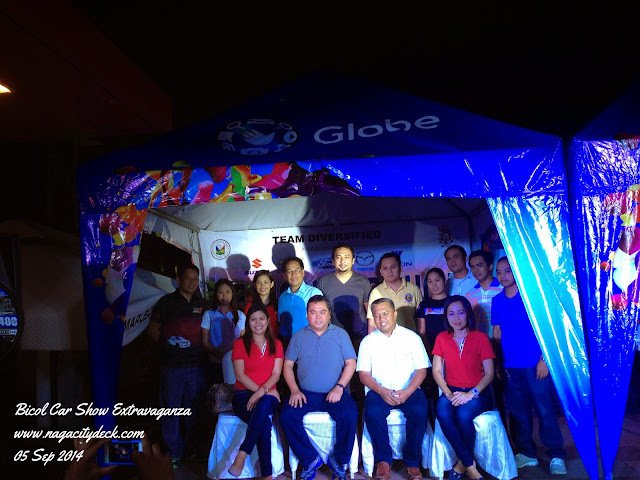 Marion is the man behind the business concept and marketing strategies of BB and also a worthy to note football enthusiast not only in the Ateneo but also in Naga City. Out of passion for football, then came passion for food and service for others. He was connected with the Clubouse of the Ateneo wherein employees of the snack house were scholars / football players to be specific. Kaye on the other hand is head of the operations of BB. Clubhouse memories served as an inspiration for the owners. The tandem of these two yuppies create a friendly atmosphere in the store. Upon observation, customers feel comfortable here and there were even a group of students who were (I think) practicing a dance presentation just right outside BB. 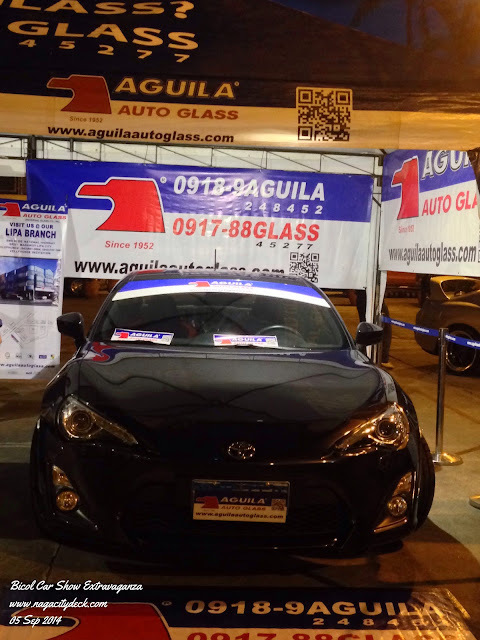 Seldom do cars pass by here unlike Ateneo Avenue. This is also a blessing in disguise because there's less pollution and noise for the customers. BB and the owners were able to surpass different challenges. These young entrepreneurs have the heart and right attitude on what it takes to work hard for something. 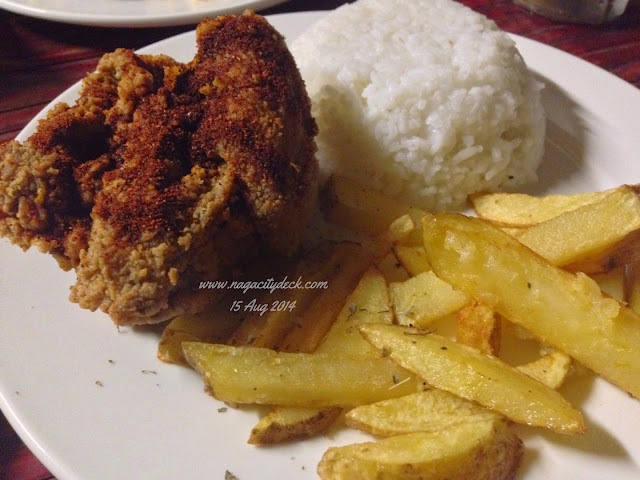 I know we all have different palates and preferences with it comes to chicken, but give it a try and be surprised. 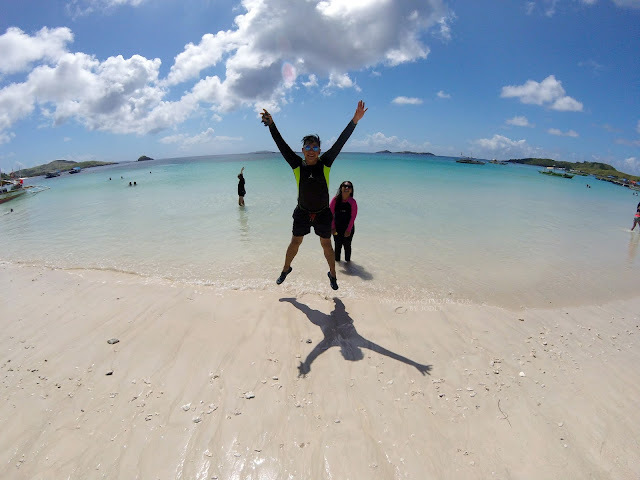 Bagumbayan's little secret is indeed a happy find. 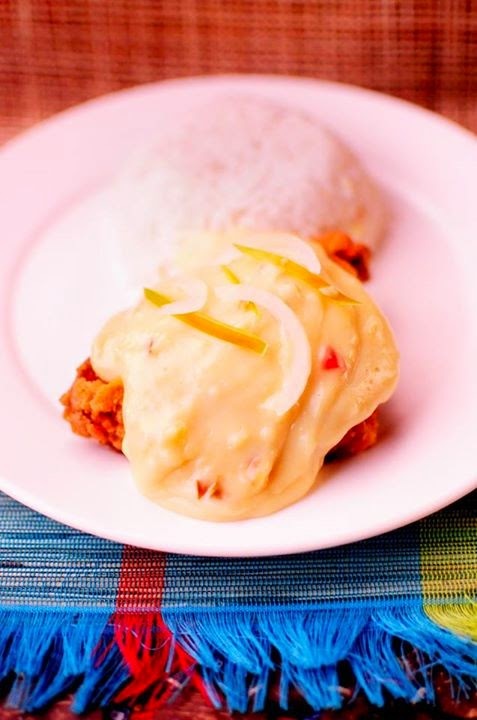 "The most affordable chicken in Naga" is here! 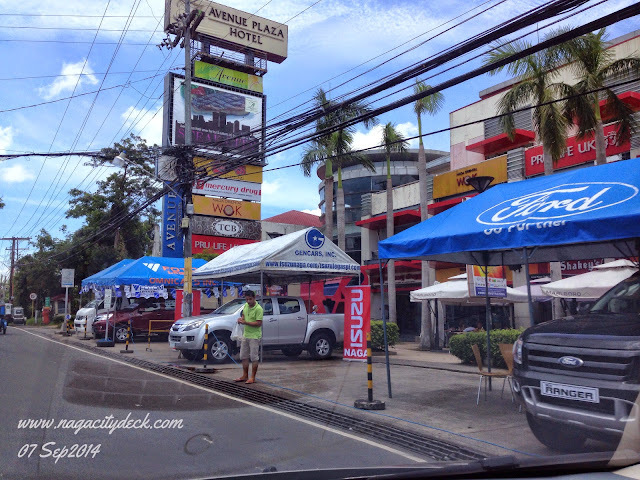 'Till our next Happy Finds session in Naga! Photos and images without ncd logo are from Bamboombayan Diner's FB Page. Rates and prices are subject to change without prior notice. * Thank you very much Marion and Kaye for having us.It was a fun Friday dusk/night with you guys. 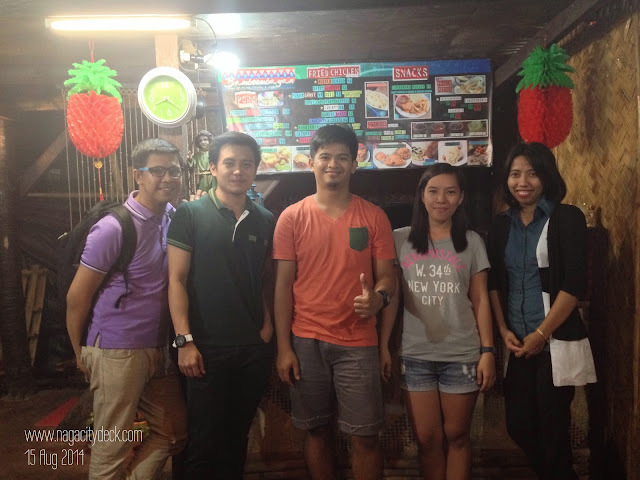 It's a pleasure having you on board our Happy Finds in Naga section. More power to BB! It’s a dream come true for a “probinsyana” like Apple Allison! A is for Apple, B is for Bicolano and Blogger, C is for Creativity, and D is for Digital.. My list can go on and on if I will be asked to associate or describe Ms Apple using the letters of the alphabet. 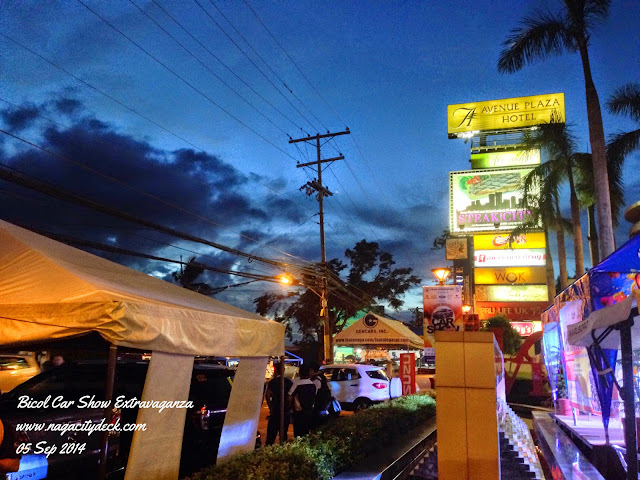 To keep it short, Ms. Apple, was the first industry (representing Avenue Plaza Hotel and Avenue Square) to have recognize nagacitydeck.com's goal to promote anything about Naga City. 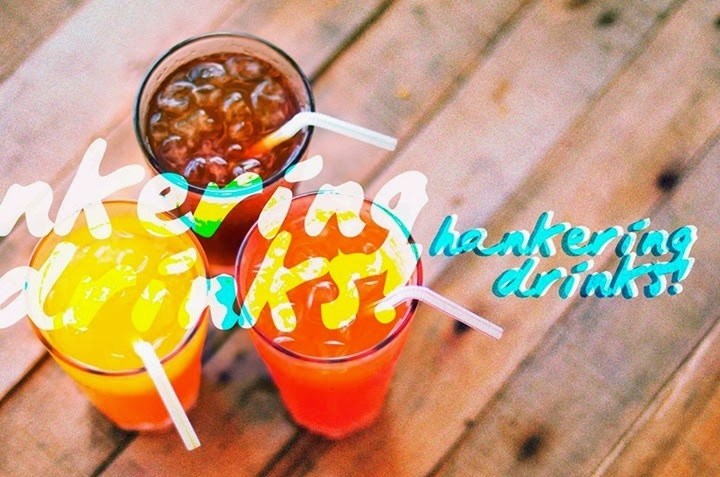 Series of partnerships with Avenue underwent through her initiative and just last summer, Apple made a bigger leap to help boost our local tourism #DateinDaet2014 by bringing bloggers together from all over the Bicol Region for a good cause in promoting Daet, Camarines Norte. 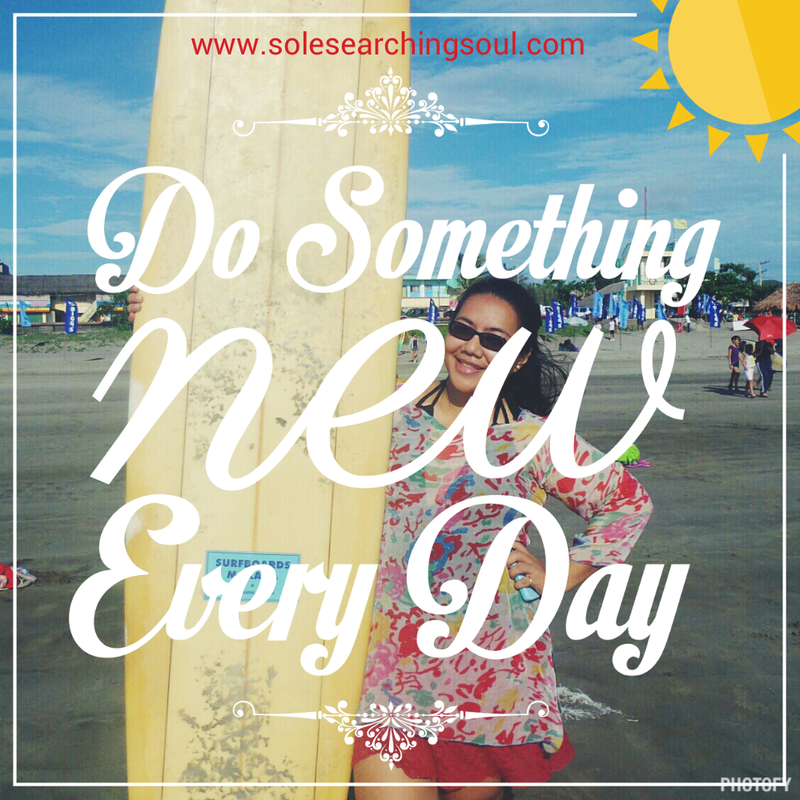 Apple Allison Perez, digital marketing advocate and founder of Sole Searching Soul will speak at the upcoming 3rd Digital Influencers Marketing Summit Manila at SMX Convention Center, SM Mall of Asia on September 13, 2014. The #DIMSummit aims to empower entrepreneurs, marketers, and advertisers with insights on working with influencers and brand advocates. It is an ideal conference for current and aspiring influencers, thought leaders as well as recognized brand advocates.Highlight of the event includes the keynote of Mr.Anton Diazof Our Awesome Planet about expanding Digital Influence outside of thePhilippines. This is very relevant with the forthcoming ASEAN 2015 integration. Ms. Apple Allison will share her experiences as one of the panel for the topic aboutPromoting Tourism, Travel, Culture through Digital Influencers and Social Media. As the marketing manager of the most recognized and awarded hotel in Bicol for the past 3 years, she will share how independent brand like Avenue Plaza Hotelcan utilize the power of social media to leverage its equity and service by staying connected with its customers. As a tourism advocate,she will also give practical tips on how to tap digital influencers and create network of ambassadors to promote tourism, travel and culture. This is ideal especially for aspiring digital marketers who are handling homegrown brands and SMEs in the countryside to become recognized worldwide. Her passion for patronizing and promoting Philippine destinations was fueled when she heard Charie Villa talked about the many great reasons why we should “Choose Philippines” first despite all the challenges. Since then, she became an avid supporter & partner ofwww.ChoosePhilippines.com, the tourism advocacy website of ABS-CBN and now one of their Travel Insiders. 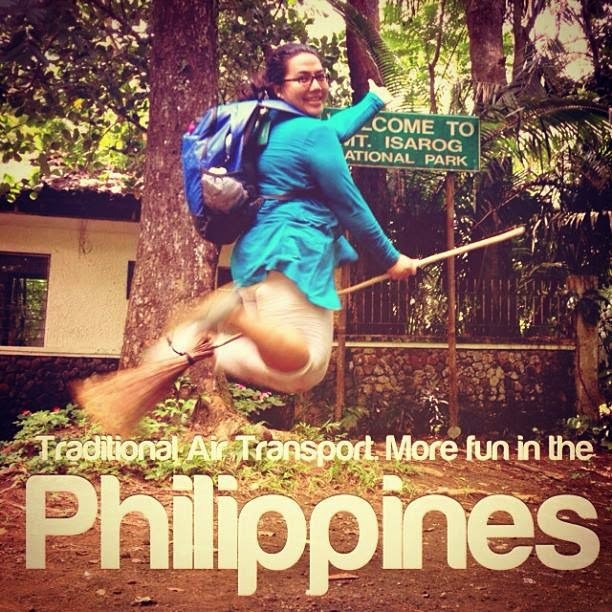 As a firm believer of Fun Theory, it is no surprise that Apple Allison is also big supporter of It’s More Fun in The Philippines campaign by the Department of Tourism. Aside from her blog posts and social media accounts, Apple Allison spreads the word about the fun in our country by being one of the most activeFun Ambassadors. She’s currently one of the Top 3 Fun Ambassadors with high fun score which she earned by posting about her fun travels and Philippine discoveries as well as creating and sharing It’s More Fun memes to her network. 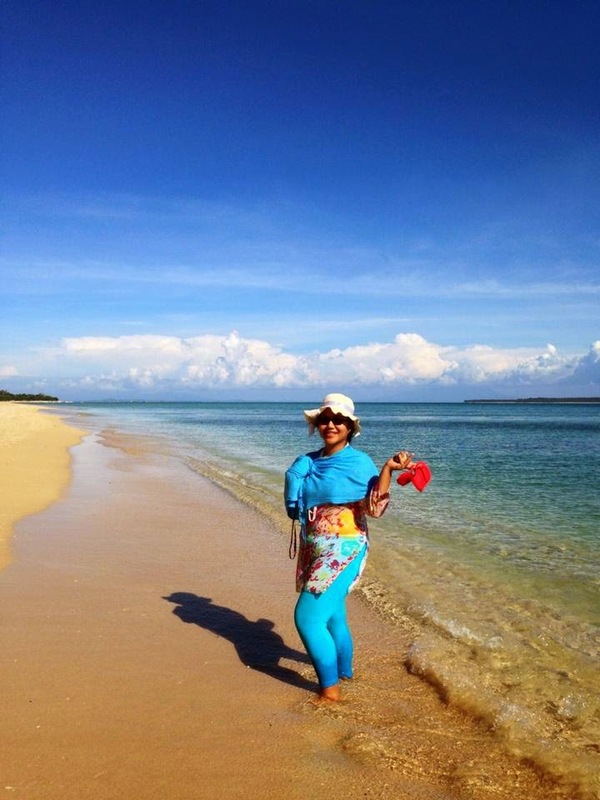 She firmly believes in the power of internet and social media in promoting tourism and it must involve the community. In her previous projects and work experiences, she highlighted the importance of collaboration with fellow influencers and members of the online community to engage the locals to actively promote independent enterprises, local brands and emerging tourist destinations. 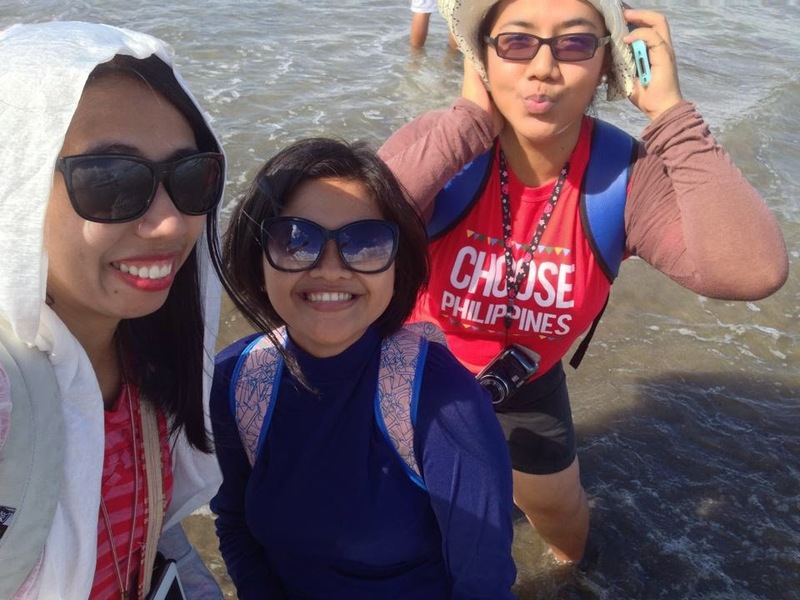 In May 2014, she spearheaded Date in Daet, a tourism advocacy campaign which brings bloggers, businesses and key stakeholders closer to Daet, the capital town of Camarines Norte and the no.1 most competitive municipality in the Philippines. 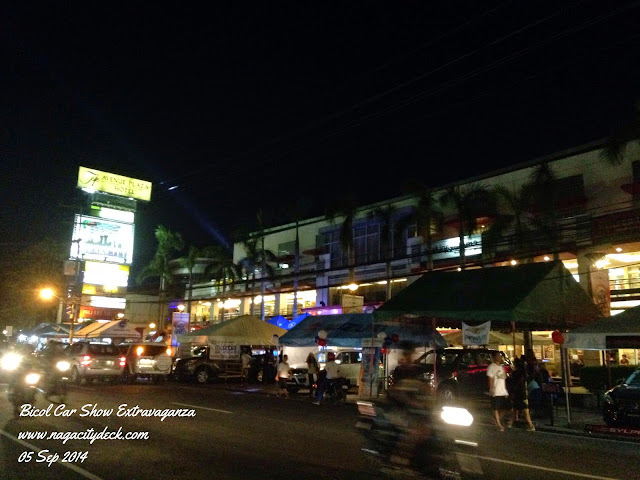 I was able to revisit Daet again and my impression about the town has surprised me well. CLICK HERE for my #DiD2014 experience. Attendees to the DIM Summit 2014 can expect a highly-interactive session with digital marketing practitioners. Be inspired and learn from Ms.Apple Allison and other well experienced speakers. Make yourself and your brand relevant online by sparking participation and collaborations.Session starts at 9 AM with the introduction of event participants as a warm-up to the event. and check her social media accounts. 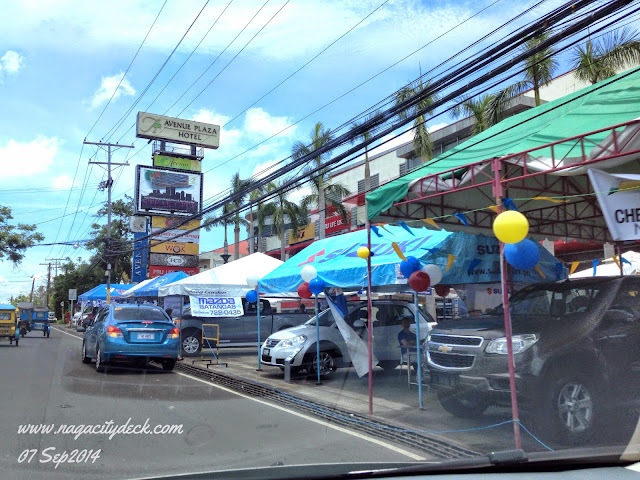 Naga City - We are very blessed enough with natural resources within our reach and Mt. Isarog is just one of them. One of the favorite destinations of local and even foreign tourist is uptown Naga with Barangays Carolina and Panicuason. 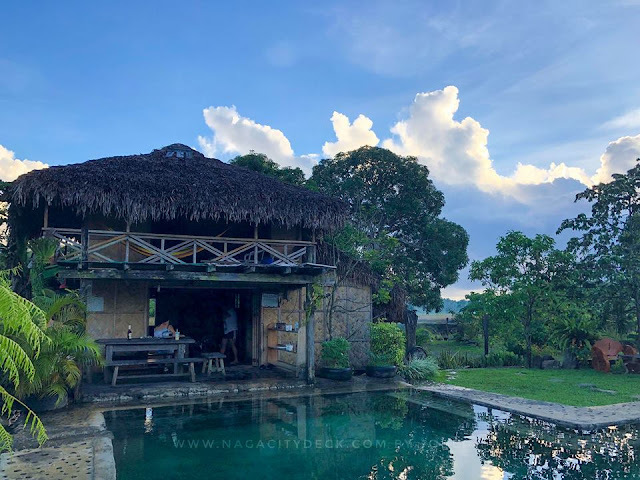 These two barangays are home to resorts and adventure-filled areas for everyone considered as Naga's East Highland Tourism. 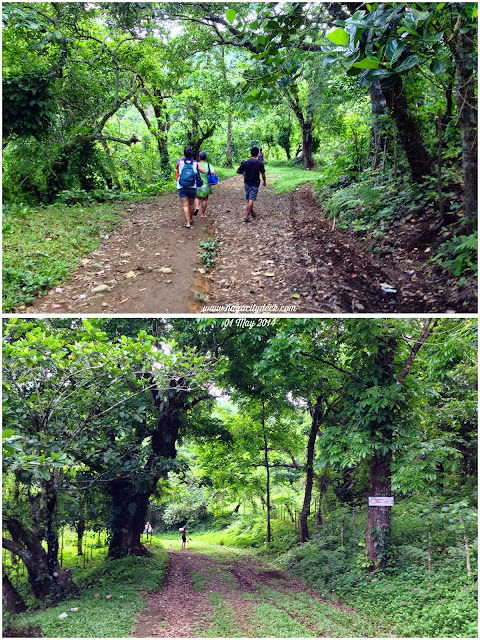 Common to this uptown suburbs of Naga is a hike to Mt. Isarog and now even cycling enthusiasts conquer these trails not so common to many. For tourists who are not into churches and other religious activities, then this is for you. 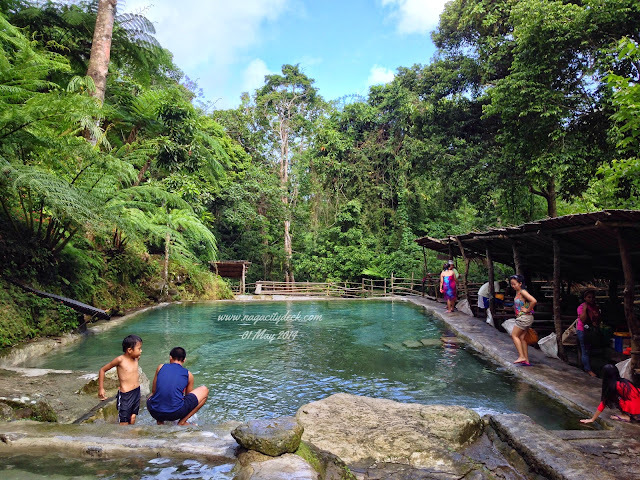 The Panicuason Hot Spring Resort is home to hot and cold spring water pool now even with additional facilities such as zip line and rappelling.Entrance to this resort is a bit higher compared to other resorts mainly because of its improved facilities. 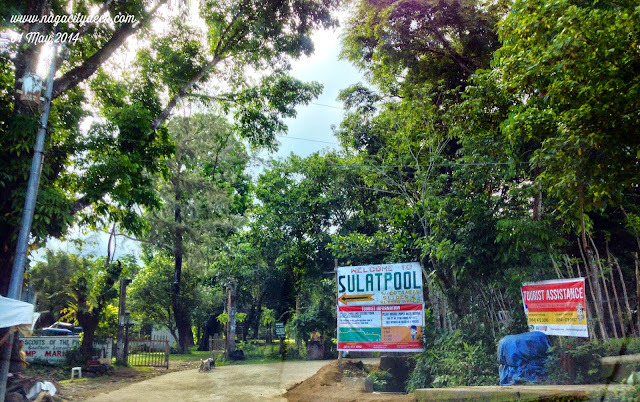 If you're looking for a freshwater pool within Naga City at a very affordable rate, then "Sulat Pool" in Panicuason is an option. Though I still have to confirm this, locals call it "Girl Scout" before and according to my friends, the area was formerly a property of Girl Scouts of the Philippines. 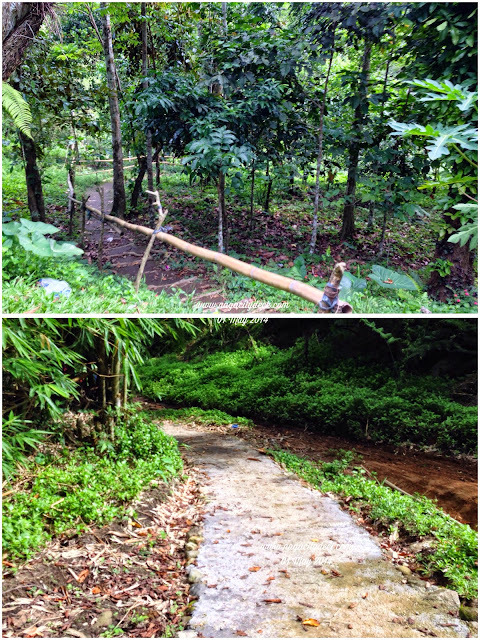 How to get to Sulat Pool in Brgy. Panicuason then? 1. Ride a jeepney bound for Barangay Panicuason, the terminal is beside MetroBank, Caceres Street (Formerly Padian St.). Fare is ~Ph25.00. 2. From Penafrancia Avenue where the Our Lady of Penafrancia Shrine stands, you'll pass by Barangays San Felipe, Pacol and Carolina. Road condition? Very very well paved, it's a road less traveled by. 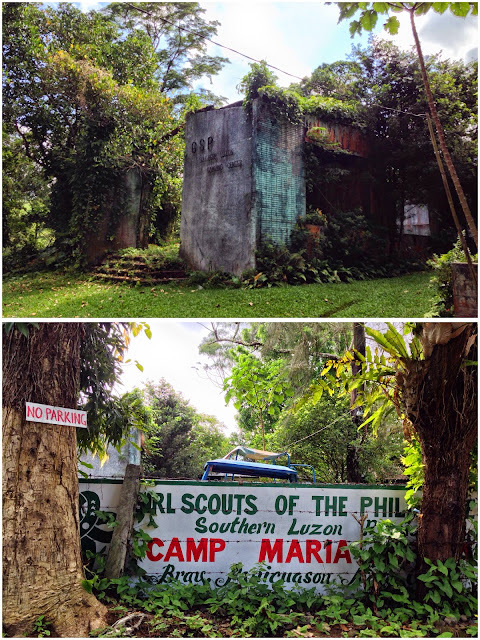 At the end on the service road in Panicuason, you will reach Girl Scouts of the Philippines' Camp Maria Aurora. 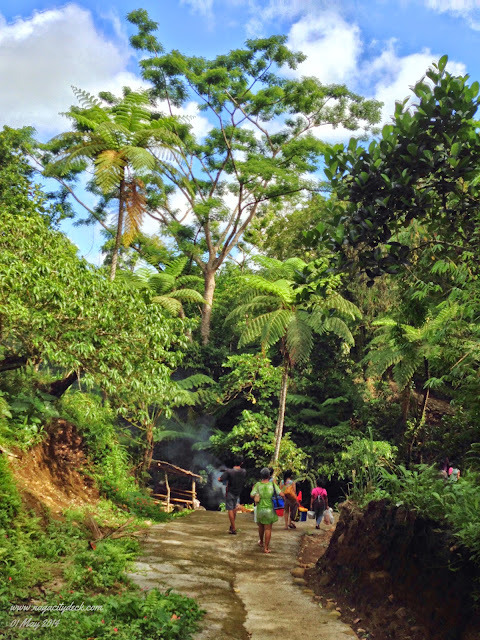 On the left side is the way going to Sulat Pool, on the right is towards Stonehouse Gardens Resort and Mt. 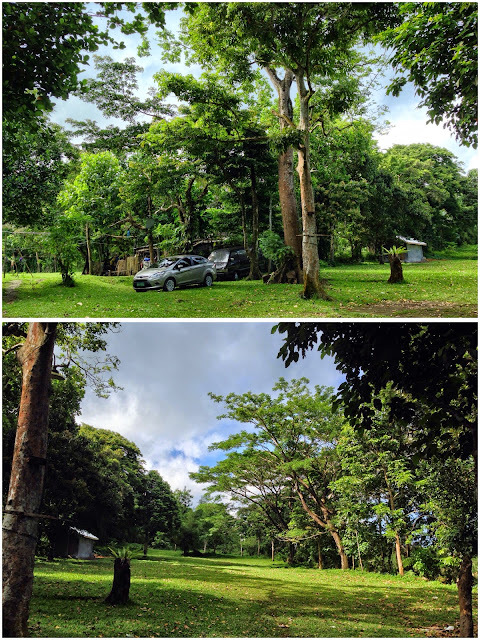 Isarog National Park, where a kilometer walk and a lil trek will bring you Malabsay and Nabuntulan Falls. Okay, don't expect too much from this resort. Every service fee is tantamount to a kind of service that we can get from a place. Bawal maarte, you need to be a "girl scout" and "boy scout" in this place. If you just want to dip in the icy cold spring water from Mt. Isarog, then Sulat Pool is for you. There are two huge pools, this is one (photo below). The other one which is deeper is just beside this pool towards the end and a few steps down. There's also one mini-pool for kids. They also have slides with cottages on the right side. Inset photo: You can use that area to refrigerate your drinks, just make sure you wrap it in a plastic and perhaps put a name on it especially if there are so many people. You don't want to get them switched right? A bamboo bridge separates some of the cottages. In between is the flowing water downstream from the richness of Mt. Isarog. Just a note, during my visit last May of 2014, there were no decent shower/dressing rooms. It's a typical "kubo-like" dressing room like the ones in beaches back in the old days. There were two comfort rooms, not that presentable too. But because of the cheap entrance fee and the same icy cold spring water that one can enjoy, many local tourist still flock this place. I hope the management have improved those basic facilities this year though. 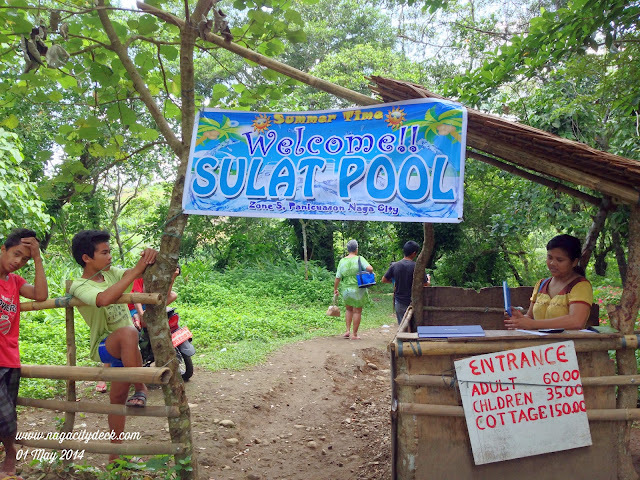 Sulat Pool is an alternative and inexpensive way to cool down this summer. 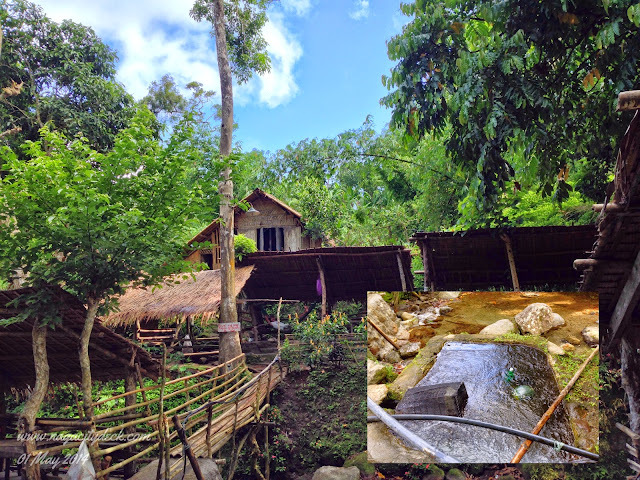 So if you are someone who can go with the flow and be a cowboy and girl anytime of the day, then come visit Sulat Pool in Barangay Panicuason. 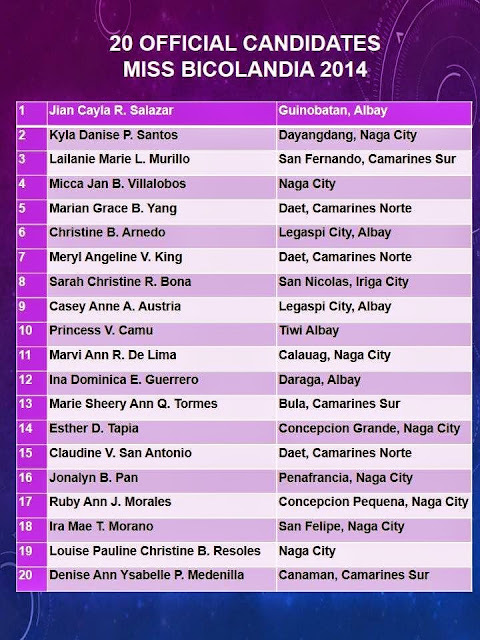 QUESTION: "Who would you blame if you don't win Miss Bicolandia 2014?" CASEY AUSTRIA'S WINNING ANSWER: "I've been joining pageants since I was 16, and I know that it's either I end up winning or not winning. As long as I gave my best shot, no one should be blamed. I can't blame myself, my make-up artist nor the judges, who might like me or not. 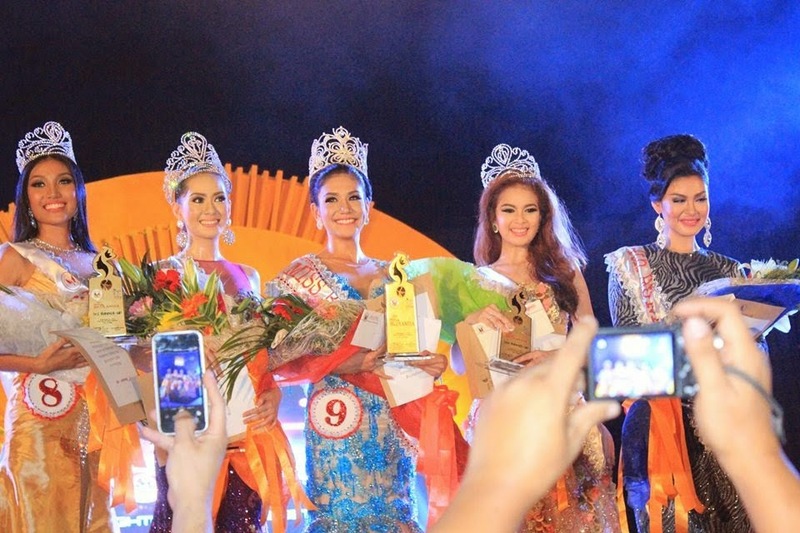 I leave it up to the judges and to you people of Naga City if you make my dream come true." 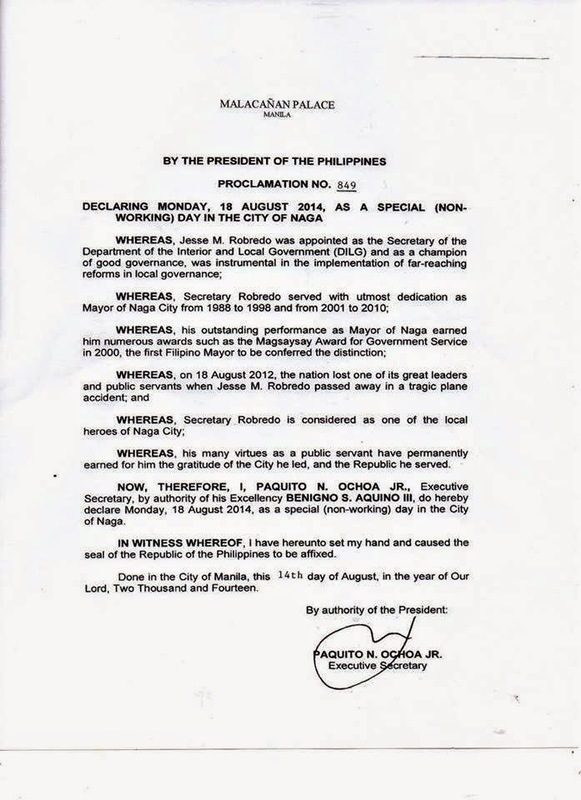 August 18, 2014 is a Special (Non-Working) Day in the City of Naga. This proclamation is only for this year, 2014. 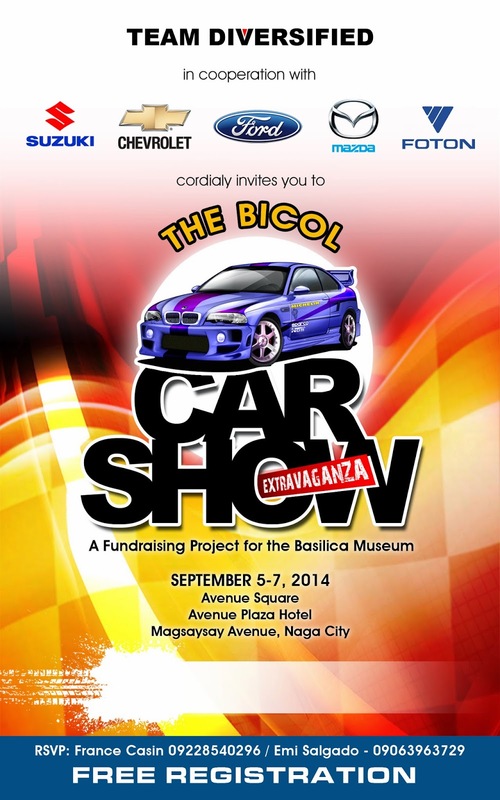 Cars to join the convoy will be provided with flaglets and numbers as car identification. The convoy with numbers 1-10 will bring the coffin to St. Peter’s Chapel-Mabulo for retouching and preparation of the body for viewing. Others will go directly to the Basilica. 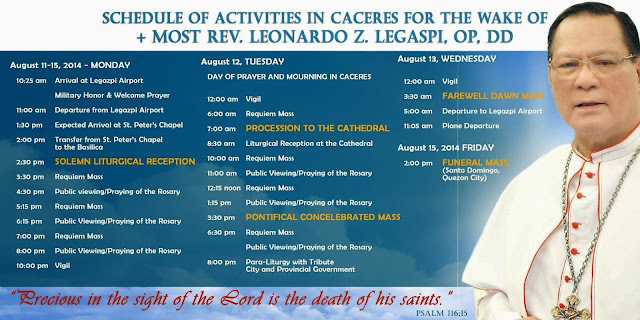 NB: All parishes, religious houses and institutions will celebrate mass preferably in the morning for the eternal repose of the soul of Msgr. Leonardo Legaspi. Cathedral grounds will accommodate limited parking for guests. 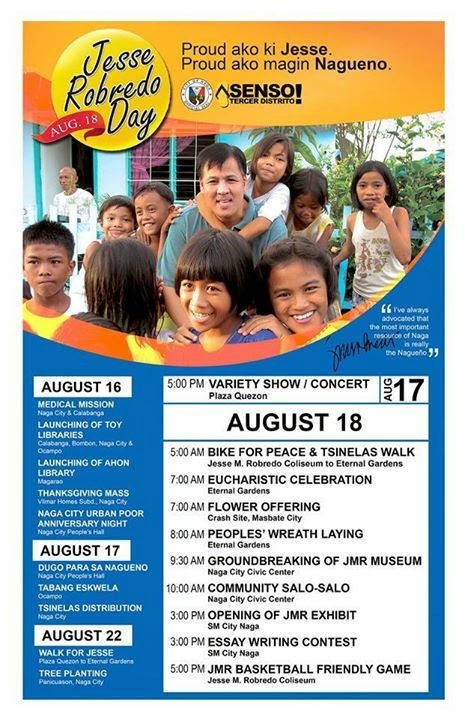 Instead, the Minor Seminary Grounds and the Palace will be open for parking. Just got booked and just got lucky. Last Sunday, we were lucky enough to get hold of books that I can use in my line of profession as well as with my mom. I was with my family that time and boxes just arrived at National Bookstore and I can say we were on the nick of time and just got lucky. Strategy. We were on the lookout everytime new boxes were being opened from one corner to another. 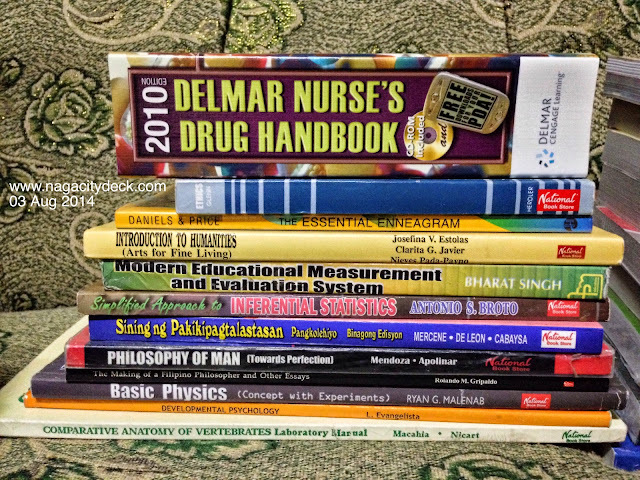 Most of the books were published 2008 up and only a few from the 90s. Bargain.We computed the original price of the books we bought and it reached 14k and our bill was only around 2k. 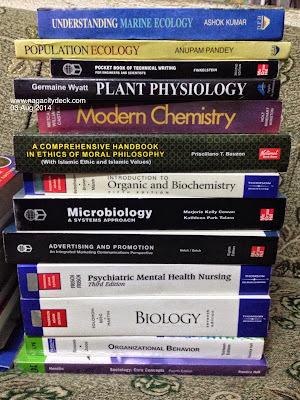 Books available started at P10, P30, P50, P75, P100, to P200. 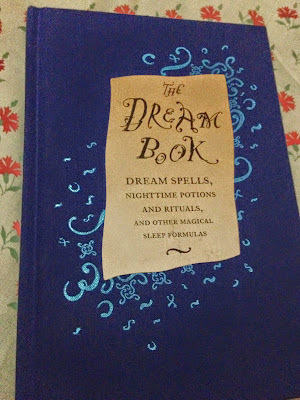 Since we got the book that each of us wanted, ayan KKB siyempre. 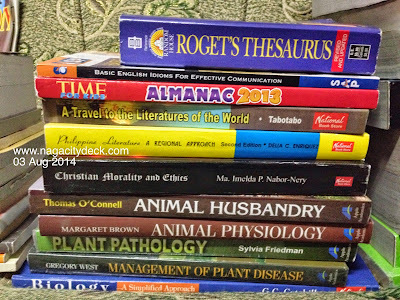 Dictionaries, thesaurus, almanacs, novels, reference books, textbooks for preschool up to college, story books for children, nclex reviewers, a lot of nursing books and a whole lot more than I can remember. 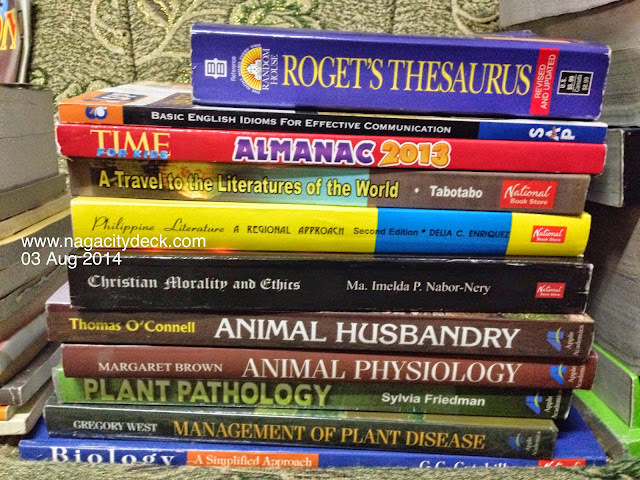 To note, there were also a lot of Filipino authored books apart from the international ones. 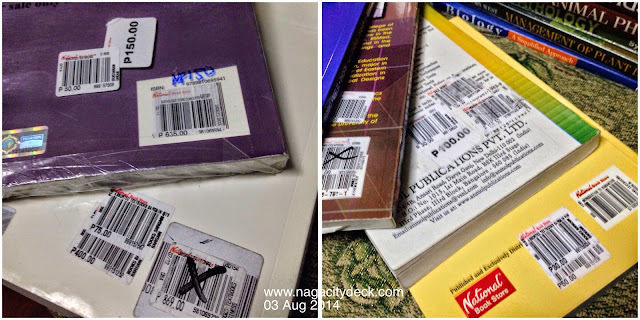 Let's hope National Bookstore sends again a truck of boxes full of books one of these days. Mom is on the Natural Sciences, I am on the Psychosocial and Behavioral Sciences. Most of these books are P30.00. The Organizational Behavior is actually P10.00 only. 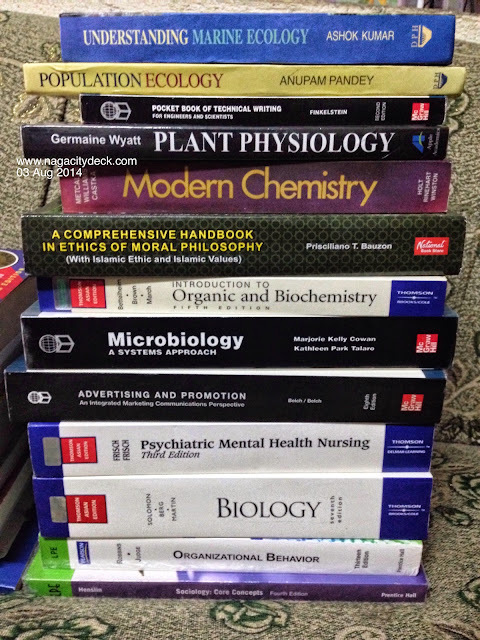 Most of these books are for the GEC subjects in college and they are for our student boarders in our mini library. 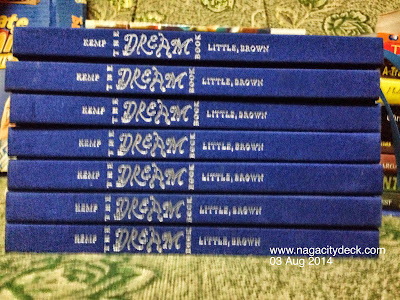 This is only P30.00 each and in hardbound. Wondering why we bought so many? Pwede na pang regalo sa mga teens. Collectors item alert! 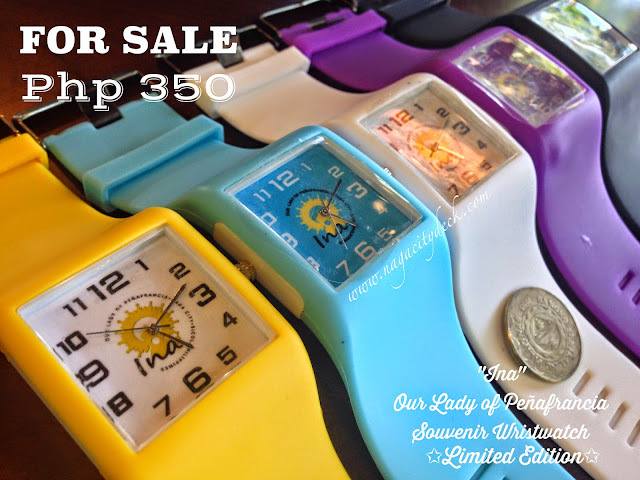 Sorry folks, the moment we saw this, we never let them go even though it was P75 each. My sister being a bookworm and a Nancy Drew fan was willing to pay for this. 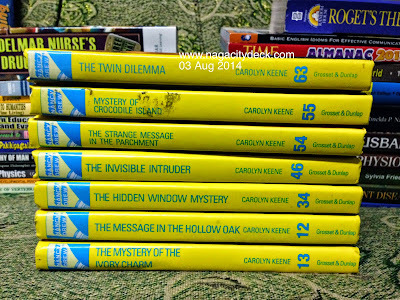 From the box of deliveries, these were the only copies of the classic Nancy Drew. Number 34 and 55 though were actually two copies, but I saw them in the hands of a kid right after we checked out how man copies were available. 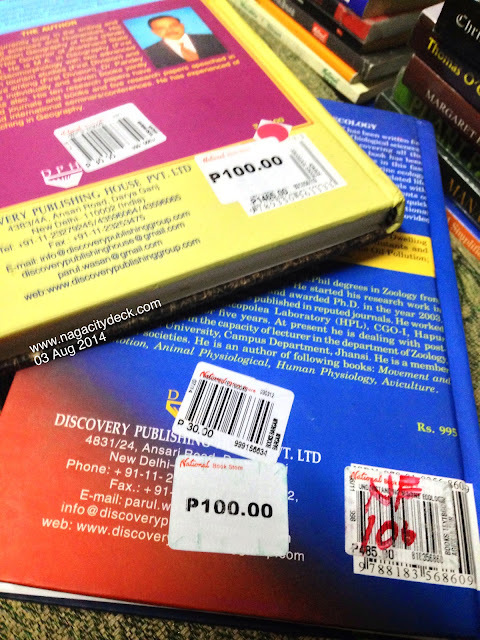 Considering that most of the books were still a bit new, see how expensive the original price were? 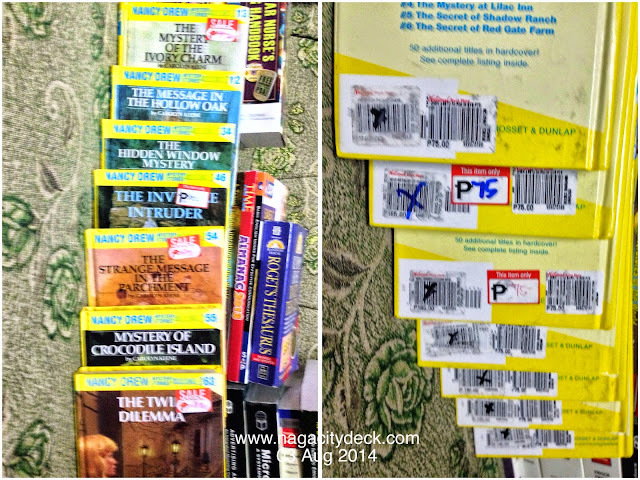 Most of them books went through a series of bargain already.